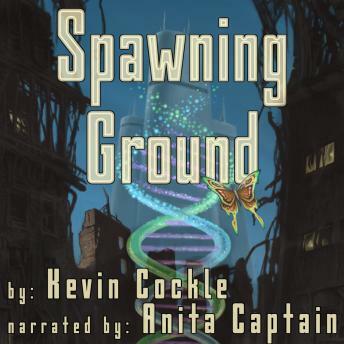 Listen to "Spawning Ground" on your iOS and Android device. Genetically enhanced workers are the future of companies competing in the global marketplace. People need to be more intelligent, more capable . . . more. Genetic perfection has a price: a brutal Darwinian contest of strength and cunning to determine which bloodlines will continue, and dominate. When Sarah Wheeler's Spawning Contest is rigged, her breeding and training will be put to the ultimate test-by an adversary who knows her every flaw and weakness, by a father whose dynastic ambitions know no bounds, and by a world that is ruthlessly selecting against human agency itself.